The New Year comes with trends, predictions and forecasts and each of them are interesting and valuable. While humans can just predict, Google has the power to do everything. In this post, we’re not going to reflect on what can happen and concentrate on what has worked in 2017 and on what is going to work in 2018. The utilization of smartphone devices and the types of smart gadgets will keep growing and hence optimizing your website is a no-brainer and also paying attention to local search engine rankings. You have to get deeper to identify your competitors in all aspects and this will become a great strategy that can be followed. So, let us take a close look at the other vital tasks that you should definitely focus on 2018. Here’s what marketers can take into account in this New Year. This is a fact to remember that mobile search differs from desktop search. The mobile search content can even be different from that of desktop. This is why it becomes mandatory to optimize your website for mobile phone search. It is crucial enough to check for mobile ranking and for that you can use a good tool like keyword rank checker from SE Ranking. This tool helps you track the keyword rankings accurately for mobile search results in Bing, Google and Yahoo. While you may spend several hours in doing tough research work or you may even utilize tools like competitor research tool to receive insights on the way competitors are managing their campaigns and the way you can surpass them. You may go even deeper into gaining customized data on competitors to build strategies. You will get easy access to all sorts of data including keywords, ads with the updated search volume. SE Ranking even helps in developing a database which is specific to the niche and to your locality. Clustering of keywords or grouping comprises of collecting keywords to logical categories and hence if you keep concentrating on a single keyword group, this will certainly set an impact on the results of the others. This is an effort which can take your efforts to search marketing to a new level. For instance, if the 2 queries are “best smartphone of the year” and “buy smartphone online”, in what way will the 2 combinations be used? Should they be used in the same page or on different pages? In order to get an answer, you have to determine your possible competitors and find whether or not the ranking pages are similar to each other. For a long time now, SEO has been and will keep being the most mysterious and interesting monster for marketers and small business owners. 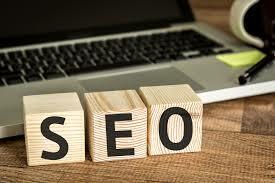 However, the truth is that when you utilize the best tools on the same platform, SEO will be fun and easy. There are scary tasks like competitor analysis, keyword research, traffic and conversion trends, rankings and can be done through few clicks. Getting all sorts of tools can become easier when you have the same interface. At SE Ranking, you can really hope that 2018 is going to doing SEO on your own. Therefore, now that you are aware of the different SEO tasks that you should definitely perform in 2018, what are you waiting for? Don’t waste any time in taking immediate action in order to help yourself grab a higher search engine ranking.